If you're lucky enough to head to the Dallas, Texas area for a vacation getaway, you'll quickly discover a wide variety of attractions and activities for all interests and ages. The Dallas-Fort Worth (DFW) Metro area encompasses the city of Dallas, as well as two other major cities (Fort-Worth and Arlington) and outlying areas. 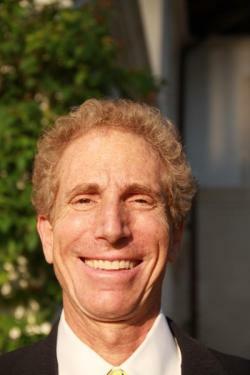 Bob Diener, travel expert and founder of the Dallas-headquartered Getaroom.com, advises visitors to remember that the DFW metro area is very spread out. He suggests, "Plan your trip so you are efficient on time by visiting the attractions is each area together." 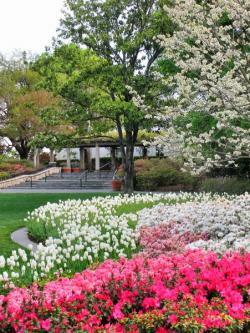 Located next to the picturesque White Rock Lake, the Dallas Arboretum and Botanical Garden is listed by the TravelChannel.com as one of the top 12 botanical gardens in the United States and Frommer's describes it as "a welcome oasis." One of its main features is the Rory Meyers Children's Adventure Garden, which opened in 2013 and is a unique educational experience focused on bringing science standards to life for the facility's youngest visitors. The Arboretum is open daily except for Thanksgiving, Christmas and New Year's Day. Diener's lists the Sixth Floor Museum, which "chronicles the assassination and legacy of President John F. Kennedy," as one of the most important places to visit in Dallas. Diener explains his choice saying, "Everyone is fascinated by the life of JFK and the mystery of the assassination." It is also listed by US News & World Report as one of the best things to do in Dallas-Fort Worth. The museum is open every day except Christmas and Thanksgiving. While it's not one of the most well-known attractions in the DFW metro, Diener also recommends thrill seeking vacationers set aside time to visit the Zero Gravity Amusement Park. He describes it as "a great thrill adventure with five major jumping thrills." You can participate in all kinds of thrill seeking adventures, from bungee jumping to gliding 100 feet in the air to a 16-story free-fall and more. Check the park's website for operating hours on specific days. Diener describes Six Flags Over Texas as the area's top attraction for "great family entertainment." The family-friendly theme park is open during the spring and summer, with seasonal openings for the Halloween and Christmas seasons. 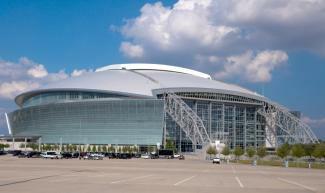 Diener also lists AT&T Stadium, home of the Dallas Cowboys, as a not-to-be missed major attraction. He says, "Game or no game - people flock to see the popular stadium." Also located in Arlington, the stadium is very close to Six Flags Over Texas. Tours are held daily, with the exception of specific blackout dates when the stadium is hosting events or otherwise in use. You can choose a self-guided tour or a guided tour that will provide access to the locker rooms, underground tunnels, private suites and more. Outdoor enthusiasts are sure to enjoy spending time at River Legacy Parks in Arlington. Open daily, this park consists of more than 1,000 forested acres situated alongside the Trinity River's bank. Visitors can enjoy hiking, jogging, wildlife viewing, bird watching and cycling. The park has ten miles of mountain bike trails described by the Dallas Off-Road Bicycling Association as "some of the best cross country trail around." Pack a picnic lunch and enjoy getting back to nature in the midst of your big city vacation. It's listed as one of the best parks in North Texas on the website of the DFW CBS affiliate television station. The Fort Worth Zoo is listed among the top ten zoos in America on USA Today and is also often described as the best zoo in Texas. According to Fodor's, it is also "the oldest continuing zoo site in Texas." Key exhibit areas feature penguins, primates, raptors, animals indigenous to Texas and more. There is also a children's zoo, carousel, rock climbing wall and a train ride around the grounds. The zoo is open 365 days per year. 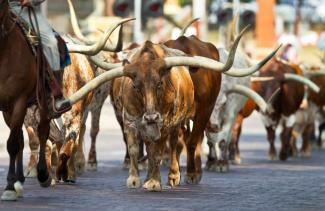 The Fort Worth Stockyards provide visitors with a uniquely Texas experience. This National Historic District is home to a number of attractions, including the Stockyards Museum, the Texas Cowboy Hall of Fame, the Grapevine Vintage Railroad and more. Real cattle drives are held twice daily (at 11:30 a.m. and 4 p.m.) so be sure to plan your visit to include this unique sight. The attraction earned a TripAdvisor Certificate of Excellence for 2013, with reviewers sharing positive comments on its historic and fun elements as well as the quality of dining and shopping options. Planet Ware lists the Fort Worth Museum of Science and Industry as one of the top attractions in the DFW Metro area. The museum has an impressive collection of permanent exhibits, including the Cattle Raiser's Museum, a Children's Museum, a simulated dinosaur dig site a beam from the World Trade Center and more. Traveling exhibits are changed out regularly, as are IMAX movie offerings. There is also a planetarium at the facility. It is open every day except for Thanksgiving, Christmas Eve and Christmas. The DFW Metro is so large that you'll spend quite a bit of time driving to see the various attractions unless you plan to move to a different hotel within each of the three major cities. Rather than going through that process, Diener recommends staying in Downtown Dallas. He explains that staying downtown will allow you to "walk to the West End, where there are many shops, restaurants and entertainment options." You'll enjoy being so close to plenty of evening meal and entertainment options after a busy day of sightseeing.